From The BlogHome » Blog » Will robots take over the window and door industry? According to a study of 46 countries and 800 occupations by the McKinsey Global Institute, up to 800 million global workers will lose their jobs by 2030 and be replaced by robotic automation. The report predicted that machine operators and food workers will be hardest hit, while jobs requiring human interaction such as doctors, lawyers, teachers and bartenders are less prone to automation. But what about the window and door industry? Will artificial intelligence and advanced technology get to the point where your new double glazing can be installed by robots? This might sound a bit far fetched, but there are areas of the window and door industry where robots play an increasingly prevalent and important role. It probably comes as no surprise to hear that robots are commonplace in the production of modern windows and doors. However, humans are still on hand to complete delicate tasks, add certain details, and ensure the finished product meets rigorous quality control. In the initial stages of manufacturing, external grade cross-laminated timber door blanks are cut, routed, and shaped using CNC (Computer Numerical Control) machines to each customer’s individual order. Machines are also on hand to apply colour coatings and mould door skins. But after these processes are complete, manpower is needed for the finishes touches. For example, to trim overlapping edges, seal the finished timber, and decorate glass features. At this moment in time, you could say its a mutually beneficial relationship between machines and humans. Much of the hard work is carried out by machines to save time, increase efficiency and cut down on errors, with humans standing by to guarantee everything looks and functions as it should. But as soon as technology evolves and artificial intelligence gains a deeper understanding of workplace processes, there is a strong chance window and door manufacturers will invest even more in robotics and software. 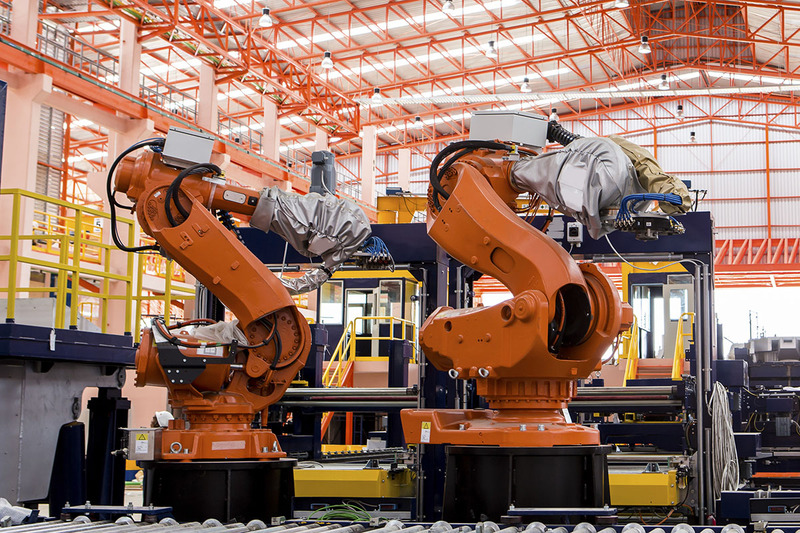 Even if robots continue to dominate manufacturing, with workers only required to ensure the smooth operation of machinery, one area where the window and door industry probably won’t witness widespread adoption of technology is the installation process. Regardless of whether its retrofit or new-build, human hands and heads are irreplaceable when it comes to installing windows and doors. In fact, many companies don’t even have enough manpower to meet current demand. When you take important, often variable factors into consideration such as weather and terrain, it would be a stretch for any form of artificial intelligence to make the right judgement call, let alone have the ability and agility to actually install a window or door. What’s more, it’s almost impossible to put a price on inherent human attributes like instinct and intuition, which are called upon time and time again to make the right decisions, and perhaps more importantly, avoid dangerous situations. The only area where robots could replace humans is pre-fabrication, where panels of properties come pre-fitted with windows and doors as well as plaster boards, electrical wiring, and decorative touches. However, for the time being at least, window and door installers can sleep easy at night.